A night without the local colleagues had let us here... just a few minutes walk away from our Hotel in Shatin. By words of mouth and the look of its crowd into the restaurant, the choice of our dinner looked quite promising enough although it maybe just some boring Japanese Ramen for some. 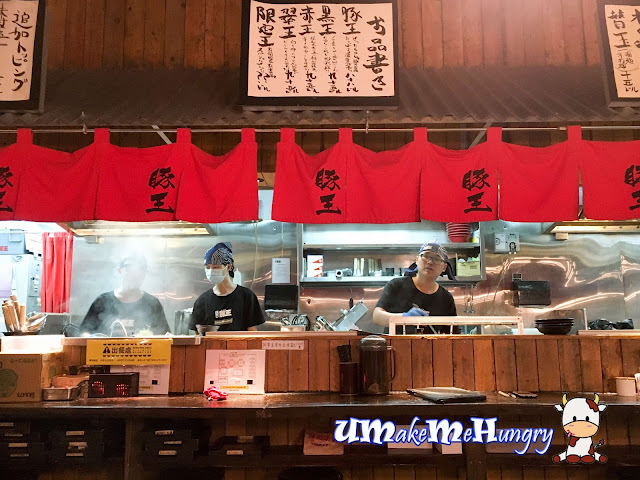 Butao King aims to bring out the most authentic Japanese Ramen to Hong Kong ramen lovers and have a few outlets in Hong Kong. 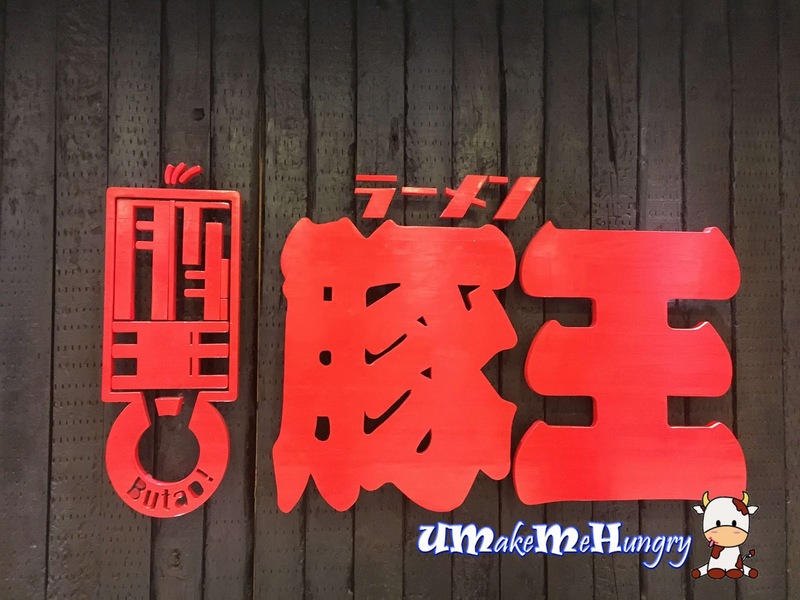 Their Signature bowl is Tonkotsu ramen and to maintain the quality and services like what Japan does, they have invited Japanese consultants to mange it. There was a queue but we were quite lucky to be seated in quickly however, like any Hong Kong eateries, we were used to their table sharing culture. They do have Ramen Bar counters for you to sit at and you can enjoy the busy movements of their chef through the open concept kitchen. I thought of seeing some extensive menu but do not expect much from here as food items in there were pretty limited as they are very specialized in making their ramen. 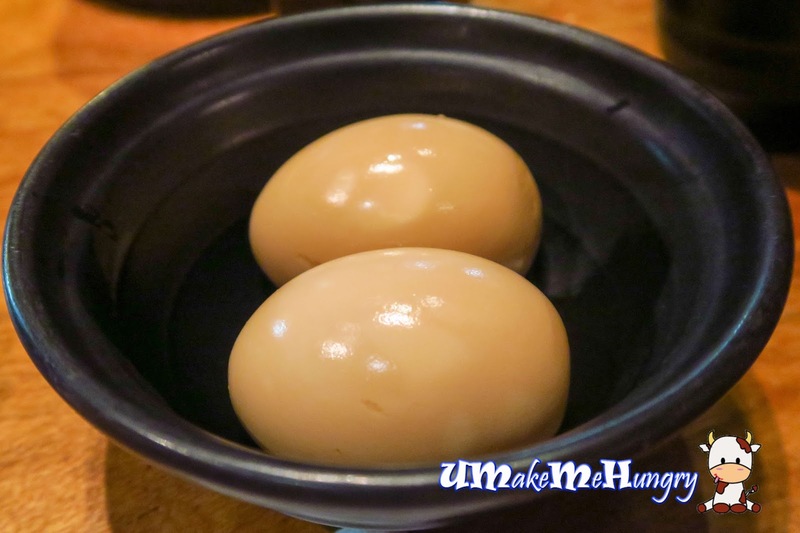 And best of all, every items in the bowl can be tailored to the amount that you want. I'm feeling abit of adventurous and tried out their Green King. Fancied about this fusion in its basic signature creamy pork soup stock, infused with olive oil and fresh basil leaves. 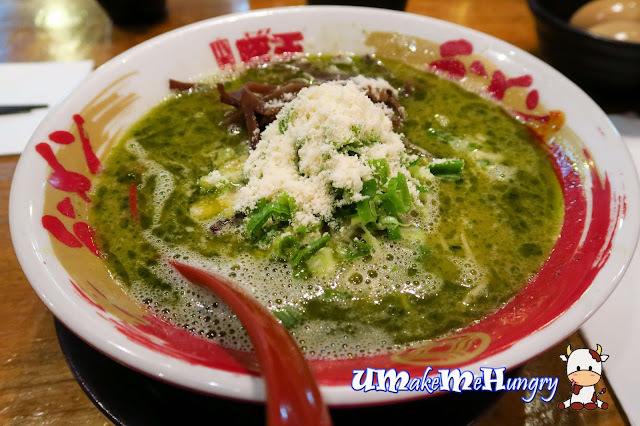 The Parmesan cheese powder that topped the ramen gave a good punch and brings out the flavour of the Green King! Its kind of Italian Inspired like having your pasta in Pesto sauce. 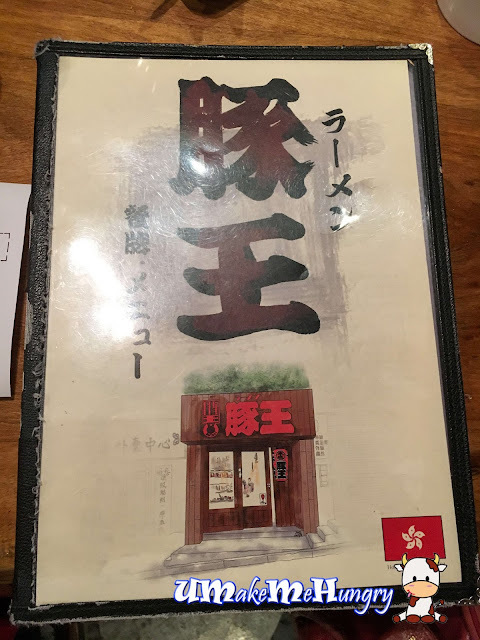 Fairly consistent texture from the Ramen and we were quite please to be serve rather quickly despite of the uncomfortable and cramped surroundings. 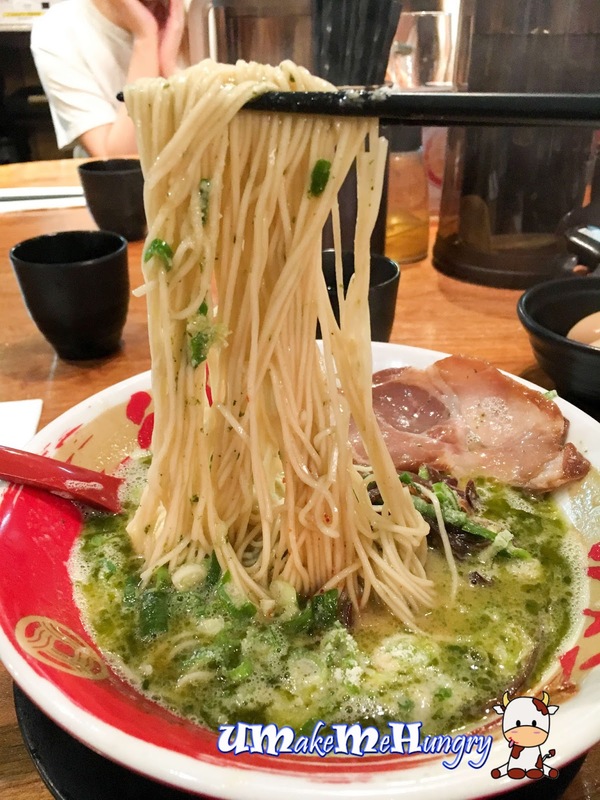 You can see the strands of Ramen coated with the fat-slicked broth, glistering and says "come eat me". Thinly sliced and tucked by the side of the bowl, these pieces of Char Siew gave the melt-in-the-mouth bite. 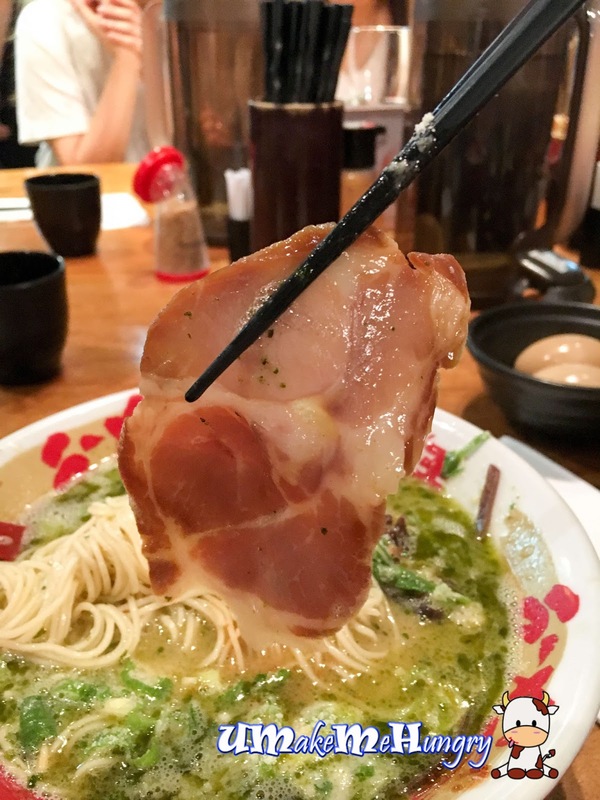 It was tender and easily tears and fell into the soup. I bet that you will savour every bite of it! 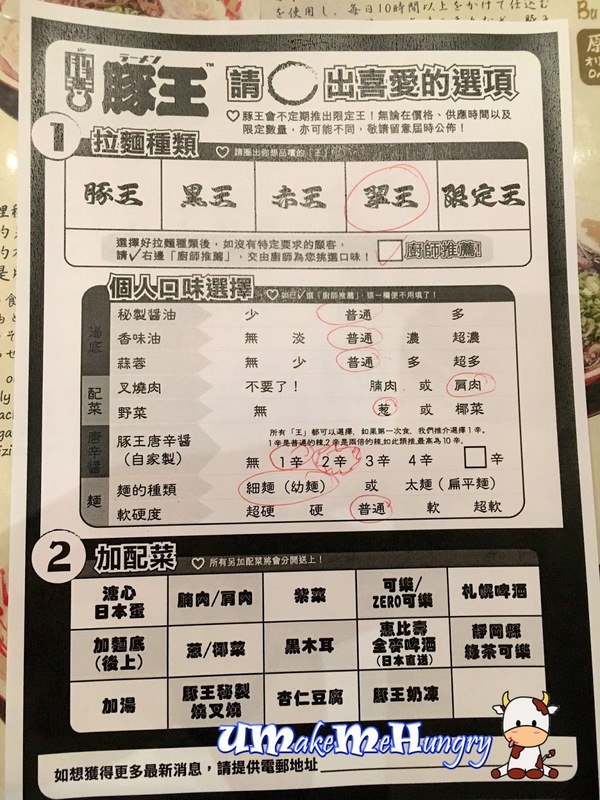 There are choices for add on like seaweed, black fungus, add soup and we had added one Onsen Egg each. 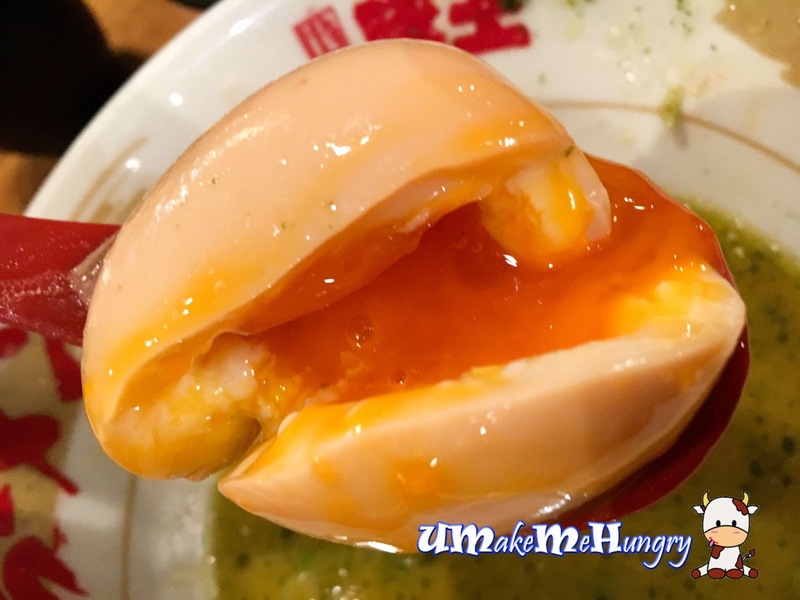 Lovely Onsen egg that looked so runny and yummy. At the look of it, I could not wait to have a good bite on it. It's undeniably awesome to have an Add On like this! You may want to skip the crowd by going before peak hours. 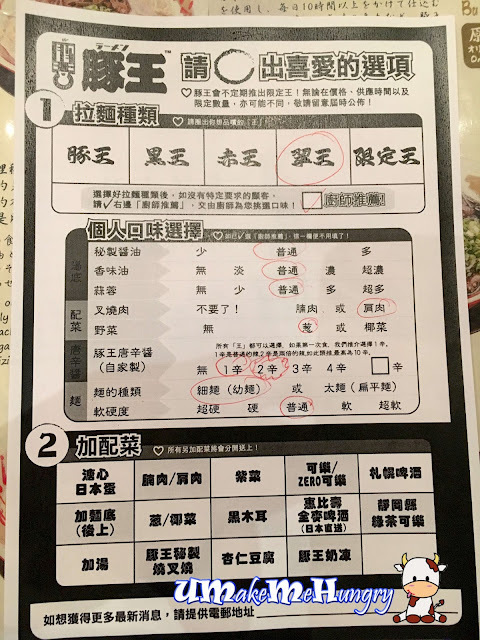 Too bad Butao King isn't available in Singapore but if I have the chance to be back in Hong Kong, I will like to try out their other types of Ramen Flavours.